UCC Forms. Legally Binding. Easy to Follow Instructions. These UCC Forms are prepared by experienced attorneys to provide instructions and model documents to assist you and your business. Included are UCC1 financing, UCC demands, UCC affidavits, UCC releases and much more. These forms will help you successfully navigate UCC laws while saving you time, money and effort. Model forms for UCC related transactions. Various UCC financing statement releases including model security interest releases and more. UCC Demands Demand for explanation about rejected goods. UCC1 Financing Statement Contains the model form prepared by experienced attorneys along with easy to understand instructions to allow you to tailor the document to your specific needs. UCC1AP Financing Statement Additional Party This form allows you to continue increasing extra Debtor or Secured Party names as needed, in compliance with governing law. UCC3AP Financing Statement Amendment Additional Party This form is specifically designed to continue increasing extra Debtor or Secured Party names as needed. UCC3Ad Financing Statement Amendment Addendum Designed for use in the documentation of personal property as collateral for loans and other related matters. UCC5 Correction Statement This Correction Statement is designed for use in challenging an existing incorrect or unjustly filed record. Notice of Acceptance of Order Provides written acceptance of an order. It also acknowledges that an order has been inspected and approved by the purchaser. Notice of Bulk Transfer Will provide official notice to creditors of an intended bulk sale of goods. This type of notice falls under the Uniform Commercial Code. Notice of Cancellation of Purchase Order Effectively cancels a purchase order for non-delivery. This notice includes a demand for the return of any fund paid for the order. Notice of Conditional Acceptance of Defective Goods Allows for the conditional acceptance of goods. It also requests a price reduction if the purchaser received a shipment of defective or damaged goods. Notice of Conditional Acceptance of Non-Conforming Goods Designed to allow conditional acceptance of goods. Because the goods were not as ordered, this notice requests that the price for the goods be adjusted. Notice of Demand for Delivery of Goods Notice of Demand for Delivery of Goods under the UCC. Notice of Refusal to Accept Delivery Form used to give notice of refusal to accept delivery under the UCC. Notice of Rejection of Defective Goods Form used to give a notice of rejection of defective goods under the UCC. Notice of Rejection of Order Generic form for the rejection of an order by the purchaser under the UCC. Security Interest Release Used to release a party from a Security Agreement. UCC Release Release of U.C.C. Financing Statement. UCC Forms Combo Package Get 9 forms for just $39.95. Save 78%! Save money by purchasing all of our UCC Forms together in a convenient packet. For use in all states. A UCC form is not an agreement but rather a document pertaining to the Uniform Commercial Code. The Uniform Commercial Code refers to a United States effort at unifying sales law and commercial transactions across each of the states, typically referring to “movable” property (i.e., property that can be considered commercial but is not real estate). UCC forms are most often used to declare a secured transaction with the public. Traditionally, you do not need to use UCC forms unless involved in a transaction that included both a debtor and a secured party. The secured party (the lender, usually, though other parties may also be secured parties) might often submit a UCC form in order to protect their investment, which is why many of the most common UCC forms actually appear in the form of financial statements. What types of UCC forms are there? As mentioned above, there are a number of different UCC forms that can be used by a secured party in order to ensure that their investment is safe. These forms include the UCC 1 Financing Statement and UCC 3 Financing Statement Amendment, for starters. There are a number of different forms for amending and adding information to these statements, just as there are UCC forms that can request information as well, such as the UCC 11 Request for Information. These forms are often sold in packages to those parties and entities that need to ensure that they have the right forms at their disposal. When do I need to file a UCC form? If you’ve entered into a commercial transaction, it’s still possible that you may not need to file a UCC form. Typically UCC forms are reserved for transactions that include a lender; the lender then files the appropriate UCC forms to protect their financial interest in the transaction. For this reason, UCC forms are often used by banks making commercial transactions and loans, but can be used by individuals and businesses as well. How do I file my UCC form in my state? Although the UCC rules are similar from state to state (which is how they were designed; hence the term “Uniform” in UCC), you’ll have to check with your individual state government to see the best way to file in your own area. As each state will have its own filing system, it’s generally best to simply check with your state for the best filing practices; usually this can be resolved with a simple online search at your state’s website. Keep in mind that many state offices recommend that you use the home state of the debtor in the transaction to file the appropriate UCC forms. Typically, the UCC forms themselves will vary little from state to state, however, which does give you some flexibility in acquiring UCC documents to file with your state. Is the UCC same in each state? It’s important to keep in mind that the Uniform Commercial Code itself is not federal law, but rather a codified recommendation to each state as to how it should govern commercial transactions. For this reason, each individual state tends to comply with the UCC, but your individual state’s compliance may come with changes to the recommended code. What different types of transactions might fall under the UCC? As the name suggests, a wide range of commercial property transactions fall under the jurisdiction of the Uniform Commercial Code; however, real property such as real estate is not included. For this reason, the largest transactions that fall under the UCC are typically business or interest related in nature. Other transactions, such as bank fund transfers, are also mentioned in the UCC. In any of the above cases in which your state adheres to the UCC, consulting the UCC itself will tell you how your state handles the governance of each transaction.In the cases in which your individual state strays from the UCC, you’ll want to consult your own state’s laws and regulations for similar filings. Can I use common UCC forms in my state? Most UCC forms are designed and intended for use in all 50 states. The purpose of the UCC itself was to unify state law in order to make commercial transactions in each state a similar and familiar process, which is why this is possible. Though each state does indeed govern commercial transactions, the adherence to the UCC is what allows these forms to be so standard across the entire country. When is a UCC filing valid? If the transaction itself is valid and the information in the UCC filing is fully accurate, the only remaining requirement of validity is the reality of the transaction itself. Ensuring that your UCC filing is valid will require going through the right state (as, again, the UCC is not federal law but simply codified law that all 50 states have adopted), which is often the home state of the debtor in the transaction in question. The UCC filing is not a contract and will therefore not be subject to the same validity questions that most contracts are. With a name like “Uniform Commercial Code Form,” the UCC form might be a little confusing to some people. If you’ve never heard of it, you might think it pertains to establishing consistent business uniforms at your local fast food chain. But the truth about UCC forms is that they can have very serious consequences in the legal world of finance and business and need to be handled with care. 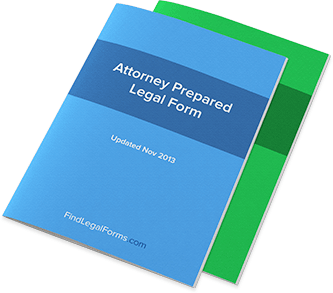 In this guide to UCC Forms here at FindLegalForms.com, we’ll introduce you to UCC forms, offer a proper definition, and then explain what they can be used for. At the end, you just might feel like downloading some UCC forms yourself. But we encourage you to get a thorough understanding of these forms if you’re going to be using them, because they often have serious implications on your financial world. Let’s get started. A UCC form is, most accurately, not an agreement like so many other forms and contracts. Instead, it is essentially a declaration to the government that one party has an interest in someone else’s property – this is often used to file notice of collateral held for debt. It’s not hard to understand just how important collateral is in our world, which is why UCC forms can be so relevant in a number of businesses and industries. As a notice to the public and not an agreement, these forms are typically filed for a number of reasons pertaining to real estate, car ownership, and loans. Essentially, they are financial statements and not agreements, which means they are also not contracts. They might be issued or filed because of a contract that’s been signed, but they are not in and of themselves actual contracts. We’ve touched on a few of the uses for UCC forms in the section above. But it’s important to know the consequences of UCC forms in a greater context, as well. That’s why we should spend at least a little time talking about the common UCC form uses and how they’re employed in the legal world. Typically, these UCC forms are filed as a “notice to lien” created by a number of agreements - remember how we said these forms are usually filed because of agreements? – such as security agreements and loan agreements. The individual laws of each state and how the debt is handled, for example, on real estate will vary. That’s why it’s important not only to understand UCC forms themselves but the context in which they’re used in your state. Is there more to learn about UCC forms? You bet there is – and more than we can cover in any one single article. So continue your research into UCC forms and you’ll see just how important these forms can be – and what they mean about the legality and structure of large agreements like loan and security agreements. As they say, knowledge is power – and knowledge of UCC forms can have a big portion of power indeed.